The recent suite of retrospective exhibitions of the work of Alighiero Boetti at the Museo Reina Sofia, the Tate Modern, and the Museum of Modern Art, plus another at the Fowler Museum at UCLA has triggered substantial catalogues, monographs and other publications, plus reviews and commentary. 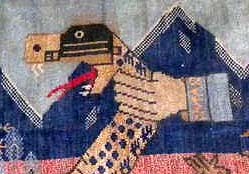 All of these have, to greater or lesser degree, repeated and elaborated a set of myths in relation to his outsourced embroideries, kilims, and carpets produced in Afghanistan and Pakistan between the years 1972 and 1994. The following abstract summarises an online essay published by the Melbourne University Art History journal EMAJ, in which I pose a counter-argument to the conventional account now established in the Boetti literature. This paper examines the evolution of the historical and theoretical literature that has developed about the work of the avant-garde Italian artist Alighiero Boetti produced in Afghanistan from 1971 until 1994. Characterised by a set of interrelated cultural and historical fictions, I propose that this collective narrative has evolved to constitute a contemporary orientalist mythology. This is particularly evident in the literature following his death in 1994, and most recently in anticipation of his retrospective exhibitions in the Museo Reina Sofia, the Tate Modern, and the Museum of Modern Art in 2011–12. Prior to his death, the literature on Boetti primarily took the form of catalogue essays, journal articles and biographies. These drew heavily on a small number of interviews conducted with the artist, plus accounts and memoirs given by his wives, partners, and curatorial collaborators. Since his death, the literature has proliferated, and today a greater emphasis is placed on a growing number of secondary authorities. Recent monographs, catalogue essays, and auction house texts draw heavily on the anecdotal accounts of his agents and facilitators, as well as his familiars, employees and archivists. 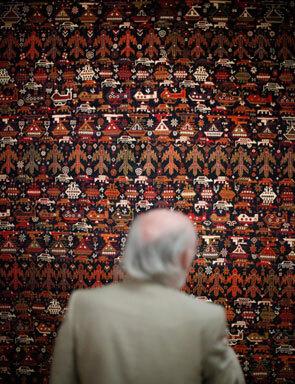 In exploring what I describe as the mythologies informing the contemporary reception of his work, I examine the claims of his influence over the distinctive indigenous genre of Afghan narrative carpets which were produced both within Afghanistan as well as by diasporic Afghans in Iran and Pakistan in the years following the 1979 Soviet invasion until the present. 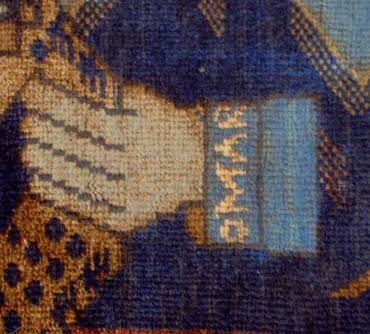 The attribution of political intent in the later Boettis, whether attributed to the artist or on the part of his agents, is a recent invention worthy of challenge. Finally I argue that such interpretations of his attitudes and practice might be described as a form of late orientalism, a mode of representation occurring through the appropriation of tradition and the projection of cosmopolitan values and avant-garde practices onto this most conflicted and exoticised cultural context of the contemporary era. 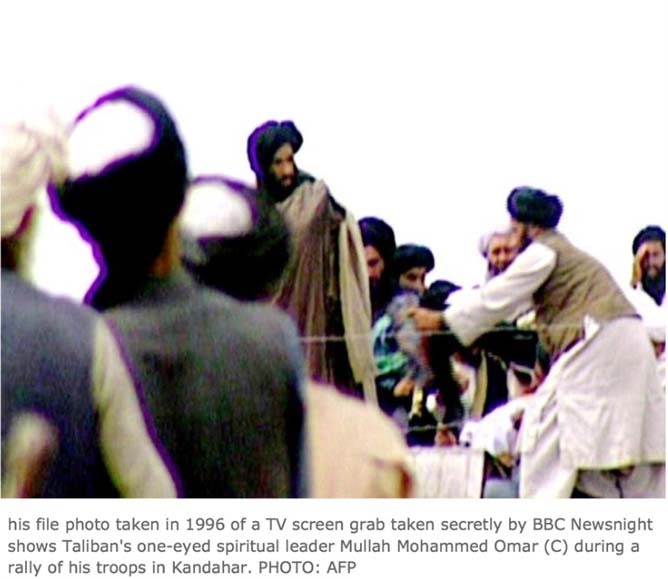 … in Afghanistan is an oft-disputed issue. Some, like Luca Cerizza, would like to think that Alighiero Boetti was responsible. “Boetti’s tapestries became a vehicle for [for the women who made them] knowledge of world geography.” [Which I say is pure projection on his part.] Despite Boetti’s then wife Annemarie Sauzeau telling us the image of the map of Afghanistan was everywhere in the early seventies, and recognising that “… it is true, the way certain Italian travellers whisper, that there was already an old tradition of the geographical carpet in Afghanistan…” So, as you’ll see in previous posts, there were multiple sources of geographical imagery in Afghanistan from the sixties onwards. 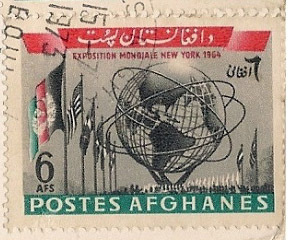 This postage stamp was used in 1973, but it celebrates the NY World Fair in 1964. 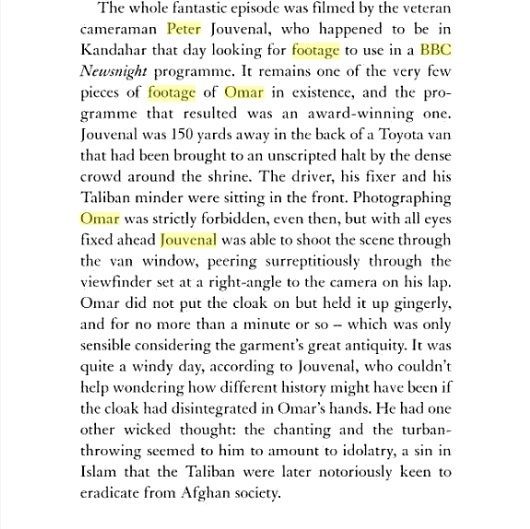 Scholars of the history of modernity in Afghanistan will enjoy Adam Curtis’ online research, based in large part on BBC archival material. 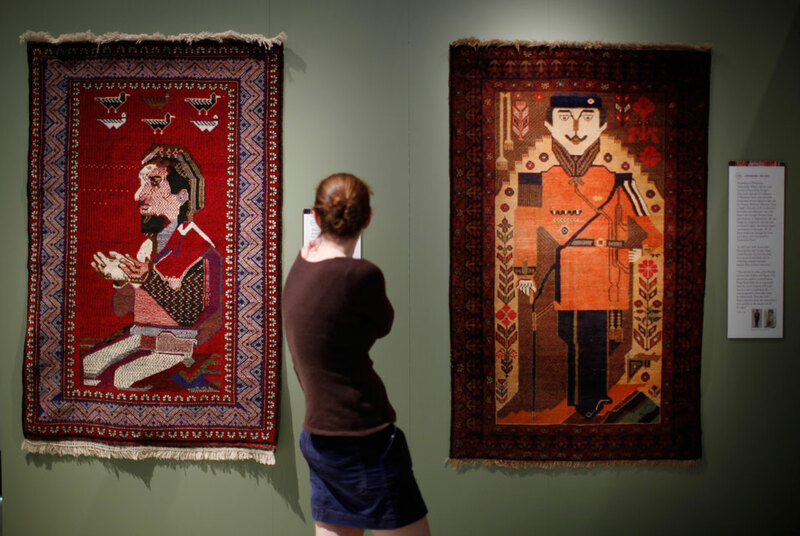 A selection of the Max Allen Collection of war carpets from the Textile Museum of Canada is currently on show in the exhibition Battleground at University of Philadelphia Art Gallery. Anthropologist Professor Brian Spooner (the back of whom you see here) is one of the foremost authorities on the cultural economy of pre-war carpets in the region. Penn Museum coverage here. And more here. Some war rugs (plus a recent salt bag from Herat) plus a couple of Navaho weavings with 9/11 references, at the opening last Friday night at the American Visionary Art Museum in Baltimore. I read somewhere that artists in The West were not producing images about war or the arms race. I thought “that can’t be right?” Then I remembered this Sydney University Art Workshop poster, designed by Nigel Lendon and printed by Pam Debenham. Never been translated into a war rug! HALI: We have heard that during the recent troubles the Baluch peoples in northern Afghanistan were either killed or driven out by the local population, who resented them. Who are they? JA: They are a mixture of Baluch and Arabs, and also Lokharis, who do not weave piled rugs but instead make those dark, dark kilims which often have tufts of wool inserted on the flatweave, and are woven in two pieces and joined in the centre. There are also Brahuis in that area who are called Baluch. There is a book written by a Russian that tells of the whole distribution of the Brahuis in Khorasan, Transcaspia, the Bukhara area and the Mazar-i-Sharif area. So many different peoples are called Baluch, or call themselves Baluch. In Farsi, the word means beggar. It also has the sense of nakedness, a person living in a tent and clothed in rags. Now the word -luch means a parasitic type of person. 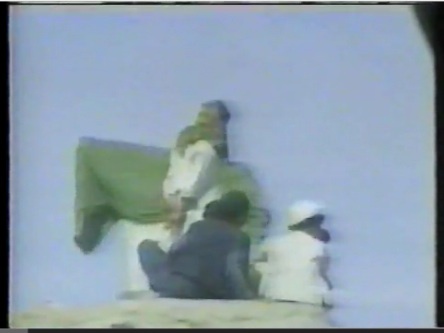 Ba means ‘from’ or ‘of’, so the name Baluch has bad connotations in Farsi… [The] Sistani tribal lifestyle was essentially intact until about 1980, nomads moving around in the same locales as they had for centuries. 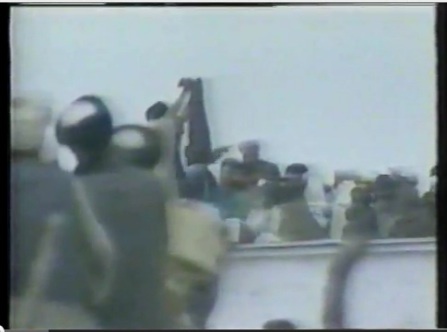 But then the Sarbandi and many other Sistanis were displaced during the Islamic Revolution.